This was one of my most anticipated reads. I’ve seen bloggers talking about Melisa Albert’s dark fantasy for over a year. The line to get a free ARC at New York Comic Con was insanely long. I’ve seen it on all the lists; must reads of 2018, favorite new books of 2018, most anticipated books of 2018. It’s honestly the first time I’ve experienced hype for a novel since The Deathly Hallows. 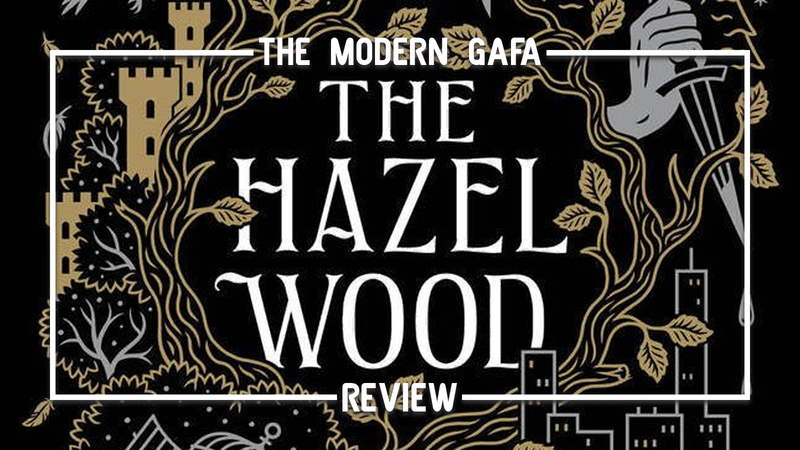 So then, does The Hazel Wood live up to the hype? Find out after the jump. “Stay away from the Hazel Wood” is an ironically hilarious tagline. I’m not going to say that the book is necessarily bad, but it’s definitely not for everyone. In fact, I’d say it’s for a very specific kind of person and that I am not that kind of person. The Hazel Wood is a blend of multiple genres tells a very interesting story, but it’s not a story that everyone will get something out of. Honestly, I was really immersed in the first half of the book. Alice is joined by one of her grandmother’s fans as they try to solve the mystery surrounding her mother’s disappearance. As a fan of unsolved mysteries and lost media, I was ready for a National Treasure type adventure as they follow clues and try to find out why no one knows anything about Alice’s grandmother or why so few people have read her book or seen the movie it was adapted into. Despite a few eerie encounters along the way, that’s what I thought the book was going to be. As Alice uncovers more clues about Tales of the Hinterland - her grandmother’s mysterious book - it becomes all too apparent that the Hinterland is far from fiction. This is where the book lost me. I knew it was coming, but I was so comfortable in the real world mystery that the dip into a fantasy land didn’t sit well with me. It felt like two completely different novels. The scenes taking place in the word of dark fairy tales are full of magical realism that left me asking myself, “What is even going on?” more than a few times. In all this, there are a hilarious two pages where Alice arrives at a bar filled with other people from “our” world who got stuck in the Hinterland. The bartender offered her food in exchange for information about the world’s events and pop culture. If the second half of the book was more like those two pages I would’ve given this book six out of five stars. The Hazel Wood is a great book, but can’t say it’s a book everyone will enjoy. If you’re a fan of mysteries, dark fantasy, horror, and magical realism than this is the book for you. If not, then I have to say: stay away from The Hazel Wood. Oder your copy of The Hazel Wood here.